Sgt. Kevin Locicero, left, and Capt. 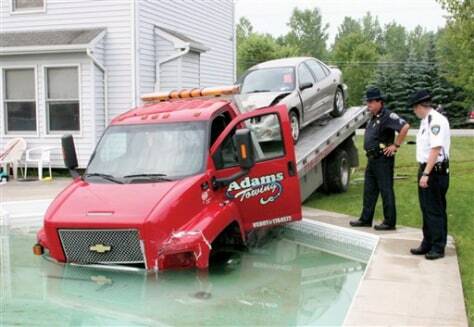 Bruce Elliot, of the Niagra County Sheriff's Department, examine a flatbed tow truck that crashed into a swimming pool in Lockport, N.Y., on Thursday.